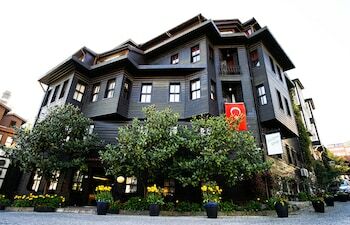 A stay at Yusufpasa Konagi - Special Class places you in the heart of Istanbul, within a 10-minute walk of Blue Mosque and Hagia Sophia. Featured amenities include limo/town car service, express check-in, and express check-out. Self parking (subject to charges) is available onsite. When you stay at Lemas Suite Hotel by Kulabey in Side, you'll be near the beach and 14 minutes by foot from Side West Beach.